Theresa's Haunted History of the Tri-State: Happy Birthday, Luke! Today, my sweet little Luke turns 7 years old. He was conceived in a haunted hotel, born in a haunted hospital, has lived in a haunted house, and has been dragged around the tri-state to visit various haunted locations. 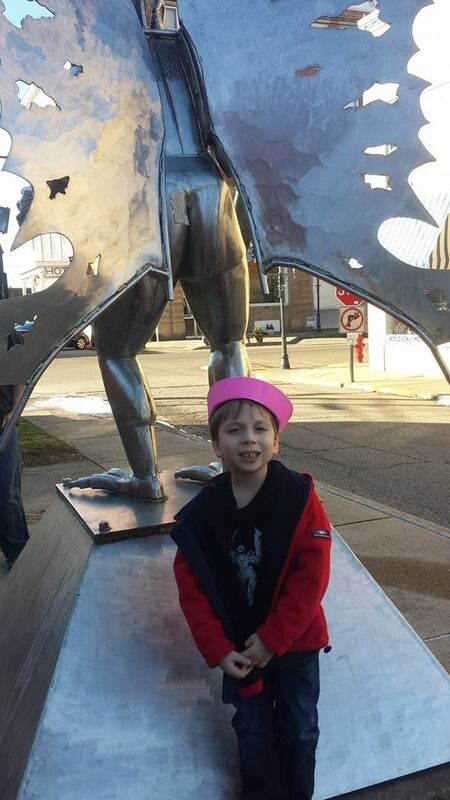 His due date was supposed to be on Halloween, but being eager about getting an earlier start, he decided to come in September, the same weekend as the annual Mothman Festival. He's led a spookier life than many adult paranormal enthusiast I know, yet he has already told me that he will NOT be following in mommy's investigative footsteps! Maybe he'll change his mind as he gets older, but if not, I'll still be proud of him, no matter what. In honor of Luke's special day, here's a quick sampling of some birthday superstitions! *In Germany, it is considered both bad luck and poor manners to tell someone 'Happy Birthday' before the day of their actual birthday. The birthday should be celebrated ON the birthday or to be safe, even AFTER the date of birth. *Children born on Halloween are said to have the gift of second-sight. They can foretell the future, communicate with the spirit world, and even ward off the bad ghosties. *In Argentina, the seventh son born into a family is said to be a Lobison, and will turn into a werewolf. Since so many seventh sons were being abandoned (or worse) in the early 1900s, it became a tradition that all seventh sons would receive the godfathership of the Argentinian president, and be presented with a gold medal upon baptism. *Those born on Christmas are said to be protected for life against drowning or hanging, leading many Christmas babies to take on the life of a sailor (or in some cases, a pirate, lol). Christmas babies have tons of superstitions involving their birth, including an ability to talk to animals, turn into 'ghosts' on Christmas Day/Eve, and generally enjoy a life of luck, to name a few. *A southern US tradition states that if you blow out all the candles on your birthday cake, you'll be married within a year!